Honey, put the kettle on ... it’s time for tea! 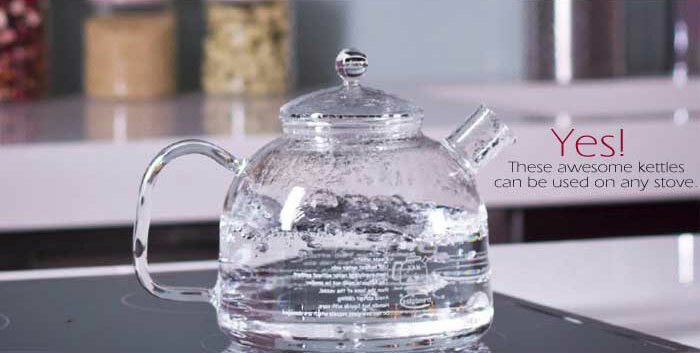 You will love these wonderful German glass stove top water kettles! 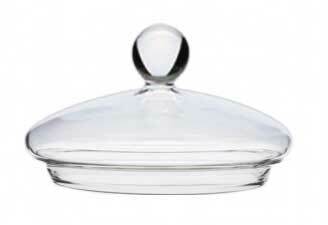 Made from high quality, heat resistant, odorless, tasteless, allergy safe*, German made Borosilicate 3.3 glass. Use directly on the stove to quickly and beautifully boil water for your organic teas or organic coffees. 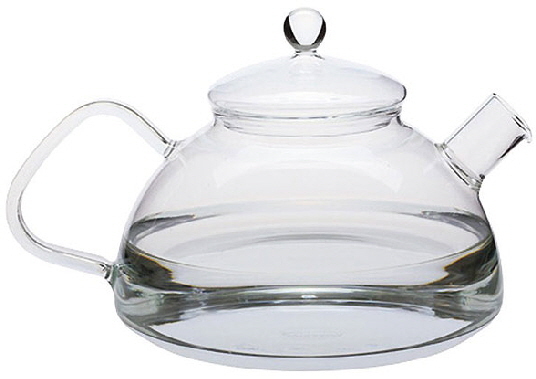 Features glass handle with two choices of removable lids: stainless steel or glass lid and optional removable glass infuser for brewing loose herb or kukicha twig tea. Great choice for chemically sensitive customers. 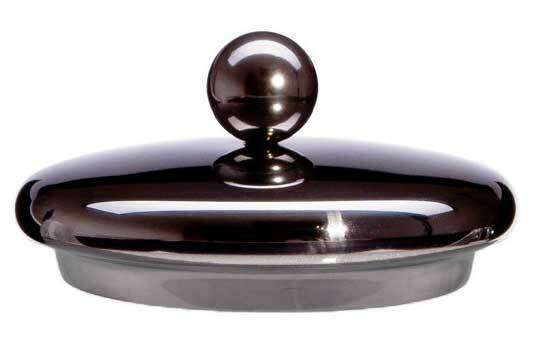 Manufactured in Hungary with the highest quality German made Borosilicate 3.3 heat-resistant glass. 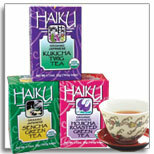 Great for Kukicha Twig Tea. 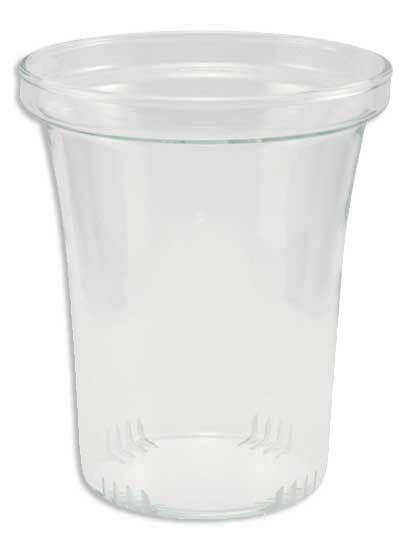 6552S 5 Cups / 40 oz ..$54.95 Replacement parts sold below. Natural Lifestyle family AND customer favorite for over 29 years! Boil water for your good morning cup of organic coffee or tea with one of our beautiful (and best selling!) German glass, stove-top kettles. 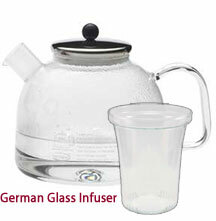 Add the optional German glass infuser and brew your favorite loose tea right in the kettle, remove infuser, pour and enjoy! 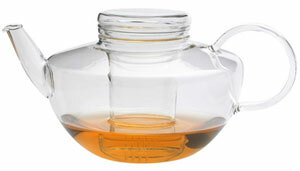 You can also use the glass infuser in your coffee cup for brewing loose tea. 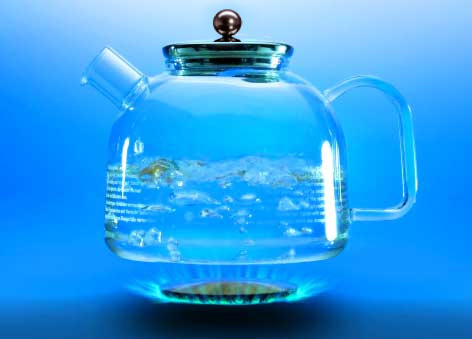 Simply boil water in your German Glass Stove-top kettle, place glass infuser in tea cup, pour boiled water into your cup, allow tea to steep for desired strength, remove infuser with tea and enjoy! You’re going to love your kettle! We use our kettle daily and could not imagine our kitchen without it. Use on gas or electric stove tops. Easy to clean and care for, too! Functional beautiful work of art. all kettles are inspected upon arrival from Germany. 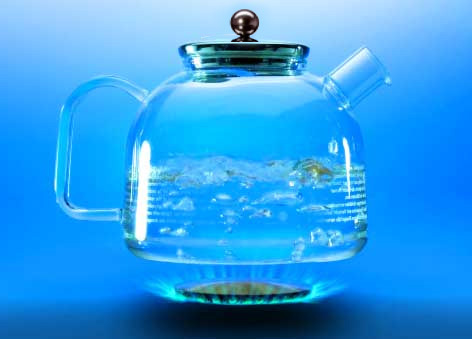 Glass kettles and replacement parts have a 7-day return policy from receipt. (which is even better than loving it LOL.) I use it 4 or 5 times a day! If it breaks ... I will cry ... then promptly order another! 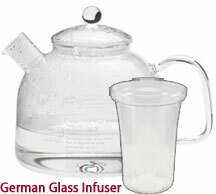 with German Glass Lid and Optional Removable German Glass Infuser Debi’s personal favorite! with or without removable Gernan Glass Infuser.